In the interests of full disclosure, I should state that I am a big fan of Ethan and Joel Coen. Even their…less impressive works are fun and stand out from the standard crap that Hollywood feeds us. Wheezy Joe (from Intolerable Cruelties) still makes me laugh out loud. Even being a fan of the Coens, I was rocked by the masterpiece that is No Country for Old Men. This is a brilliant adaptation of a very good novel. As is often the case, the Coens do an excellent job of casting. With any other director(s) we would have likely been handed a star-studded cast. Each of whom was picked for their name, not what they would have brought to characters. Anton Chigurh will, quite simply, scare the hell out of you the first time you watch this film. He is the most dynamic, disturbing villain (or monster) to walk onto the silver screen since Hannibal Lector. While some of you might think I am exaggerating, I am not. Anton might very well take out Mr. Lector. If not, he would at least impress Hanny. Javier Bardem recently snagged the best supporting actor Oscar for this role. 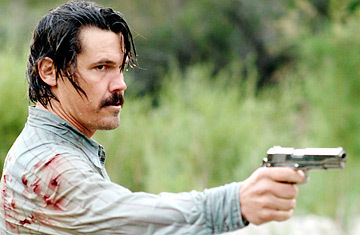 Llewelyn Moss (A very nice performance by Josh Brolin) stumbles upon the remains of a drug deal gone bad. He makes away with a briefcase of cash, but ends up going back to bring water to the one survivor. This act of charity puts him in the crosshairs of Anton, who has been given the task of tracking down the cash. So begins an extraordinary game of cat and mouse. I hesitate to go any further as I don’t want to spoil things. I have mentioned Brolin and gushed about Javier, but I would be remiss if I did not talk about Tommy Lee Jones. Jones plays Sheriff Bell. Bell could have walked right out of a classic western. Sadly for him, this is not a western. Bell is a weary man that realizes that he is a stranger to the world around him. As time has gone by, his principles and ideals become further and further out of synch with society. Sheriff Bell is an observer to the conflict between Moss and Chigurh. This battle adds fuel to his feelings of obsolescence. The true magic of this film (and the book it is based on) is that while it is a splendid story on the surface, there is so much more to it than meets the eye. NcfOM has a subtext that is just as powerful as that surface tale. Sadly, this first release of NcfOM is lacking in the plentiful goodness of extras that it deserves. We are given three featurettes. The Making of NcfOM runs 20-25 minutes long and is pretty much what you would expect: actors gushing about how much they love this project, the Coen brothers talking about how they came to choose Cormic McCarthy’s novel and how they approached this project. Working With The Coens is a bit of a valentine to Joel and Ethan. I have no problem with it, as these two are as good as any filmmakers alive today. Diary of a Country Sheriff. This is pretty interesting; it looks at Sheriff Bell and the contrasts between Bell and the two in conflict. Anyone that is a film geek will likely want to wait for the next release (It is almost a certainty that there will be a future deluxe edition) but if you simply want the film, this will be just fine. Years from now, it is likely that NcfOM will be viewed as the crowning achievement in the storied career of the brothers Coen. A loaded cast, armed with excellent direction and a fantastic script, took what was a promising project and parked it in the cheap seats. Not only should you own this film, you should watch it once a year to remind yourself what good filmmaking looks like. 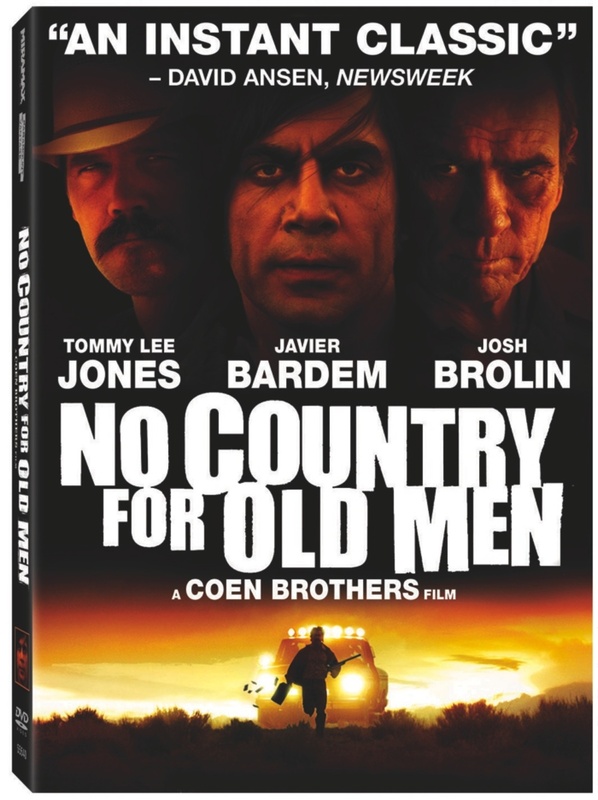 Order No Country for Old Men from Amazon.